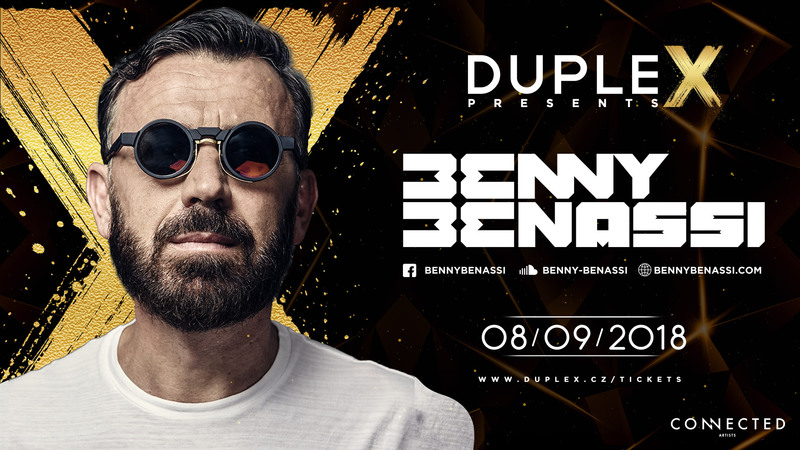 Benny Benassi, the Legendary Italian DJ and producer, Grammy Awards winner, founder of hypnotech genre and author of the megahit „Satisfaction“ returns to Prague to shine at the DupleX, The Rooftop Venue on Wenceslas Square as part of the new concept night Duplex Presents, bringing you the biggest stars of the world’s electronic music! Emerging from Italy, world class DJ & producer, Benny Benassi is a name needing little introduction but deserving of wide acclaim. Having built a career and reputation spanning over fifteen years, this humble, authentic and charming artist has grown from club DJ, to festival king and on to multi-million selling record producer taking success in his stride. Having trademarked his unique infusion of house and electro early on, his music continues to inspire and evolve whilst still remaining true to the very core of the Benassi sound. Benny Benassi has a stunning list of successes, whether it be the major festivals he went on the play (Coachella, EDC, Ultra Music Festival, Tomorrowland to name a few) or his next artist album, Rock N Rave in 2008. The same year he won a Grammy Award for his ground breaking remix of Public Enemy “Bring The Noise” further catapulting the Benassi name into stardom. In 2011, Benny Bennassi teamed up with a star-studded album cast for his album Electroman which featured T-Pain, Kelis, Jean-Baptsiste and Apl.de.ap amongst others and most famously Gary Go with his chart-topping single “Cinema”. The Skrillex remix of “Cinema” not only went Gold in the US and platinum in Australia and Canada but won Benassi another Grammy whilst holding firm in the iTunes top 10 dance chart for over 6 months. 2016 saw Benny Bennassi released his first album in five years Danceaholic, an unexpected, stunning cocktail of already released tracks, two unreleased reworks of older singles and brand new songs, led by the hit summer anthem “Paradise”, once again with Chris Brown. “Paradise” stayed in the Top 50 UK charts for 10 weeks and boasts more than 50 million video views and close to 40 million Spotify streams. Beyond his own productions he has brought his sound to a wider musical audience with a flurry of high-profile remixes with the likes of Bob Marley & The Wailers, Giorgio Moroder and the Rolling Stones.